"We'll own up to it," he said. "That's on us." The Stars have seen their record dip from 13-5 to 11-7 with the forfeits. Meanwhile, Williamsburg has seen its record climb from 9-7 to 11-5 with the two new victories. If Williamsburg splits with Red Top Sunday, the Red Sox will finish at 12-6. If the Stars sweep Norway, they would finish at 13-7 and lose the title by percentage points, with Williamsburg at .667 and the Stars at .650. (Two Williamsburg games were canceled due to wet grounds). 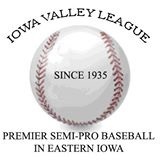 Mike Gibney, the secretary of the IVL, announced the forfeits and the league decision Wednesday night. He termed it a "roster mistake" in the announcement. Gibney stated that Stolley played in two other victories by the Stars when he was not on the roster, but the league has not forced the Stars to forfeit those two games. One of the wins was against Red Top on July 8 and the other win was against Watkins on June 17. The Stars have been allowed to keep those victories, even though they used an ineligible player. "Awarding Red Top a victory would not put them in a position to challenge for the championship this coming weekend," Gibney declared. "It would prevent the Stars from challenging for the title." Likewise, Watkins is not in contention for the title. Gibney said that Red Top and Watkins did not discover the Stars' roster mistake until after the July 15 games, when the Stars swept their doubleheader against Williamsburg. According to league sources, Gibney discovered the roster mistake when Stolley had a big game against Williamsburg and he realized Stolley was not on the roster. Lloyd Brockshus, the general manager at Williamsburg, did not file a complaint and was not aware of the roster mistake until it was brought to his attention by a league official, he said. "Actually, I don't like to take forfeits," said Brockshus. "I didn't make a big deal about it and my team didn't make a big deal about it. It didn't come from me. "They beat us and that's the way it is," he said. "Rules are rules." The rosters for all six teams were read aloud at the league meeting on May 22. Adam Lloyd, who helps run the Stars, attended that meeting and submitted the roster for his team. The official management structure of the Stars had changed shortly before the meeting and Gibney speculated that the roster mistake was partially due to the change. The mistake lingered for most of the season. Lizarraga and Lloyd both play for the Stars in addition to running the team. "Rosters were not checked comparing them to official scorebooks and the matter should not have extended as long as it had," Gibney declared. "There seems to be plenty of guilt to pass around." Gibney said the Stars could be subject to a fine, but said the issue has not been finalized. Stolley was added to the Stars' official roster prior to this past Sunday's games. "He is added to the roster now," said Lizarraga. "We made sure of that." Here are the adjusted standings entering the final week of play. Watkins at Walford, 1 p.m.
Red Top at Williamsburg, 1 p.m.
Stars at Norway, 5 p.m.